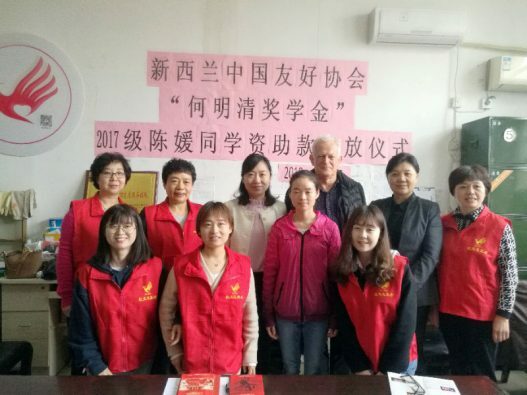 Red Phoenix leaders and volunteers, Womens Federation leaders, Chen Yuan and I met and discussed the various aspects of our respective work. 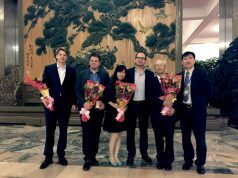 I introduced Kathleen Hall, her work in China and her strong spirit, and the objectives of the scholarship. Chen Yuan recounted her situation. She comes from a mountainous rural area in Ankang distict, Shangwu county, south of Xian, on the divide between North and South China in the Qingling mountain range. Her village is remote, and her parents grow potatoes and corn. Their difficult circumstances arise through both of them having illness. As Chen Yuan told this story, she was unable to hold back tears. 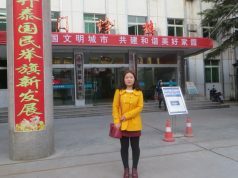 She is motivated to undertake nursing studies through the misfortunes of her family. 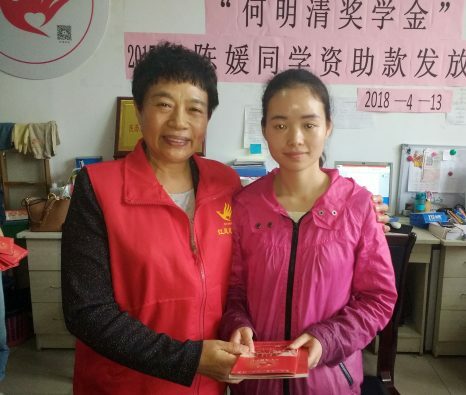 She was able to attend middle school through support from the county government. She is a very slight girl, I guess just 1.5 metres tall and less than 40kg, perhaps a reflection of her background situation, but she has a spirit and intelligence that has clearly been noticed to receive the support she has to now . We had lunch together with Women’s Federation, and later Chen Yuan and I took the subway together. 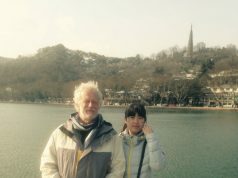 I learnt then that when she came to Xian last September to begin her studies, it was the first time she had left her county. As we walked, she called her father to say the meeting was over. Perhaps it was an intimidating meeting, but I feel sure she has now relaxed. She has sent me some wechat messages already: ‘my family thanks you very much’, ‘I’ll study carefully, working hard’. She has adapted well, and I am very pleased we have her as our current HMQ scholar.